In the video you can see that there is an actual app that is run and that part is real. What I did was create an icon, which is something that I do in my free time anyway, as well as the application. I then recorded that part of the video. The app I ran was actually a modified version of DeSmuME Wii by Arikado, etc. 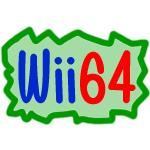 The modifications I did were simple ones such as switching out the DeSmuME Wii text for my "3DS4Wii" text. The other modifications I did were to the ROM directory and the filetype filter. I made it look for ROMs in SD:\3DS\ROMS\ and made it look for *.3ds files rather than *.nds ones. The 3DS games in the video are really just text files with a bunch of gibberish that I renamed to 3ds files. The gameplay of Ocarina of Time 3D comes from a YouTube video of someone playing the game. I'm actually not quite sure how it was recorded because it seems to be direct from the 3DS itself. In the video there is a frame around each screen which shows a 3DS image (it looks like it's being played as a demo for a trailer). What I had to do was crop out the background of the top and bottom screen and separate them. You can still see a bit of the background on the top screen but I was too lazy to make it precise. Now that I had separate videos for each screen I just had to edit them together. I used DeSmuME Wii as a reference with how you are able to switch between showing each of the screens or both and emulated that for the video. I also slowed down all the gameplay in order to give the impression that it is running slower. All the gameplay is by the person who made the video as well as the random cropping that occurred throughout the gameplay. Since I used a video from someone else, there was a title on top of the game's intro which is why I made it start off with a black screen. The download that I included in the description is the modified DeSmuME Wii that I used but I changed the text to say that it is fake and there is no 3DS emulator. It does the same things as in the video though (it looks for 3ds files but can't run them).